Painting. 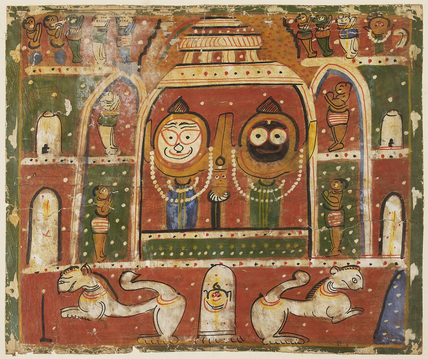 Jagannatha Triad in the shrine at Puri. Shrine at Puri with twin gate and subsidiary shrines.